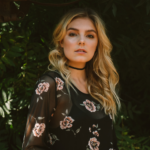 Founded back in 1996, DOUBLE ZERO is a women’s clothing wholesale brand that offers everyday casual dresses, tops, sweaters, outerwear, bottoms, and so on. Nestled in the heart of fashion district of Los Angeles, Double Zero’s wholesale clothing is steeped in the culture of contemporary and basic fashion. This wholesale fashion house is known for its intense focus on what’s trendy and straightforward, something you’ll wear every day. That’s right - Double Zero unprecedented fashion trend has allowed it to cut a niche for itself among young contemporary women who desire something more practical but still chic. Headquartered at Huntington Park, Double Zero operates a sizzling store complete with a showroom at 1100 S San Pedro St Los Angeles CA. As you might expect, this women’s clothing wholesale company has a responsive e-commerce store as well as multiple other mini-stores via online marketplaces. Dresses: Double Zero stocks a full line of dresses that come in all sizes, patterns, colors, and styles. In fact, the supply of pleated dresses is their forte. But you can also get maxi dresses, bodycon, mini, and sweater dresses from Double Zero. Tops: When it comes to tank tops, Double Zero is the leading women’s clothing wholesale brand. They come in all sorts of crinkle and robust colors and patterns. Rompers/Jumpsuits: They stock a tremendous selection of jumpsuits, bottoms, and sassy rompers. Coats/Jackets: If you want to shop for a broad variety of coats, vests, blazers, and jackets, then Double Zero is your go-to wholesale fashion house. Choose from all sorts of fabrics, styles, embroidery, colors, and price ranges. Sweaters & Cardigans: Double Zero women’s wholesale fashion sweaters fly off the shelves like a hot cake. Wholesale buyers have access to a large selection of pullovers, cardigans, tunics, ponchos, and sweater jackets. Of course, Double Zero offers so much more. As the leading women’s clothing wholesale brand in Los Angeles, it often offers stylish garments on their winter, spring, and summer collections. Like most wholesale clothing brands in Fashion District of Los Angeles, Double Zero has a standard return policy regarding defective or damaged garments. Typically, all sales are taken as final. All claims, including damaged items, must be made within five days - any return request made after 30 days will not be honored. Besides, a 30% restocking fee is applied to all returns on non-defective wholesale fashion items.